Who runs the best trips to Climb Kilimanjaro in Tanzania ? We think we do. We will leave you with the experience of a lifetime. Kilimanjaro trips need to be managed well with a great team on the ground and professional team prior to your trip. You need people that understand your needs so that you will experience something unique and amazing. You also need to give yourself the best chance at success. Pick Ian Taylor Trekking for your Kilimanjaro experience and we promise we will exceed your expectations at every turn. READ SOME REVIEWS. You need to understand 3 important things before climbing Kilimanjaro. 1). An excellent acclimatization schedule with plenty of climbing high and sleeping low is needed to be safe and successful climbing Mount Kilimanjaro. The Lemosho route give the best acclimatization This will be one of the biggest decisions you will need to make. You can pick cheaper 5 or 6 day trips but remember that going to extreme altitude above 18,500 feet is highly dangerous and we chose to offer safer and more enjoyable experiences on the mountain. After climbing Kilimanjaro 25 times to date I can not recommend enough, taking your time and putting yourself in the best possible position to make it to the top. 2). Having the right staff, tents, service prior to the trip, food and tents on the mountain will make your experience on Kilimanjaro a truly memorable one. Read the reviews on our WEBSITE and on our FACEBOOK PAGE. 3). A team that will help you understand the training and preparation needed for the trip. All our head guides have over 250 summits, western training and continued training on the ground from our full time staff. We have invested in our staff and we have the same crew now for 5+ years, our chef Ede manages our kitchen on each trip producing quality food through the whole climb. We have runners coming up the mountain with fresh produce twice on the trip, so you will be getting the best possible fuel to give you the best chance to being successful on the mountain. You can contact Ian and team 5 days a week. Ian is always available when he is not on trips and happy to get you get the information needed to make your adventure a success. 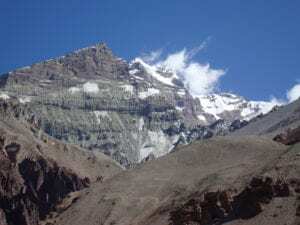 We have 100% success on most of our 8 day Lemosho route climbs and service to beat all the rest.